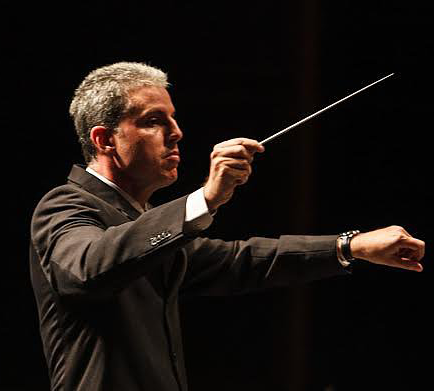 Guilherme Bernstein is a Professor of conducting and the Musical Director of the Orchestra of the Federal University of the State of Rio de Janeiro (UNIRIO) in Brazil, as well as the former Conductor of the Symphonic Orchestra of the Municipal Theatre of this city. From 2003 to 2007, he was the Musical Director of the “Ópera no Bolso”, a pocket opera project sponsored by the City of Rio de Janeiro, which hired young artists charged with bringing opera to young audiences. From 2007 to 2012, he conducted the Symphonic Orchestra of Barra Massa, derived from a social project inspired by the Venezuelan “El Sistema.” Guilherme Bernstein played a key role in bringing this orchestra to the forefront of the youth orchestras of the country. As guest conductor, he has conducted many of the principal Brazilian orchestras, as well as orchestras in Germany, Russia and Israel. His compositions such as his Piano Concerto and his Strings Serenade, published by the Brazilian Academy of Music, have been performed several times in Brazil and abroad. His Chamber Opera “O Caixeiro da Taverna”, created in Sao Paulo, has also been well received. With a Doctorat in Music, specializing in the orchestral music of Villa-Lobos, Guilherme Bernstein studied piano and conducting at the Music School of the Federal University of Rio de Janeiro (UFRI). He also earned an Artist Diploma at the Hartt School of Music, in the United-States of America.